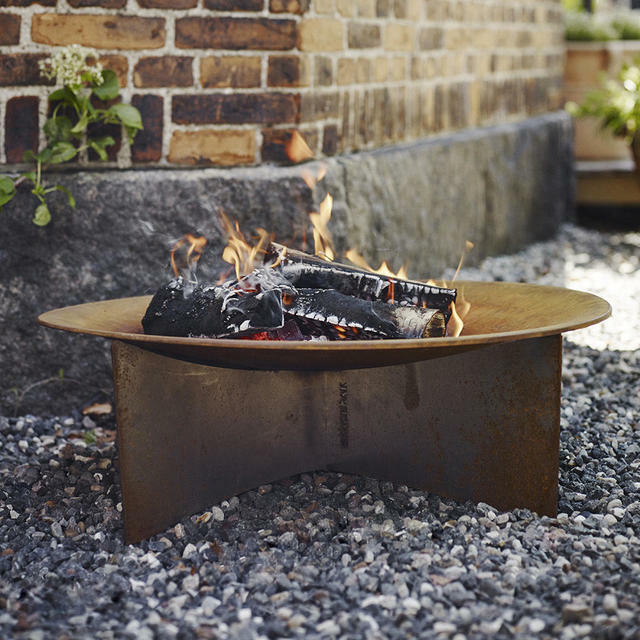 Made from corten steel, these firebowls are not just a design piece; they are practical to snuggle round on chilly summer evenings, toasting marshmallows or sausages, or just curling up with a glass of a nice Rioja! 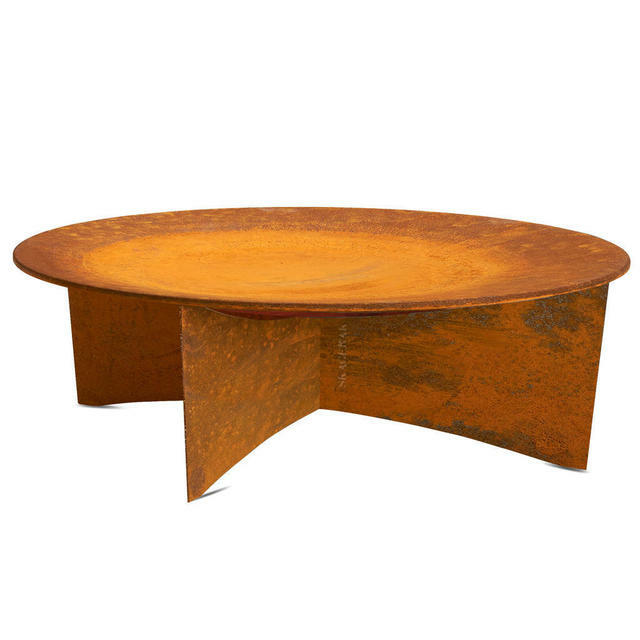 Corten steel is a very high quality steel (copper chromium alloy steel - think Angel of the North) which has been allowed to weather - the rust finish not only gives a beautiful antiqued appearance, but also gives extra protection against the elements. 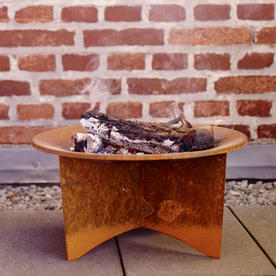 See here for more information about corten steel and its properties. 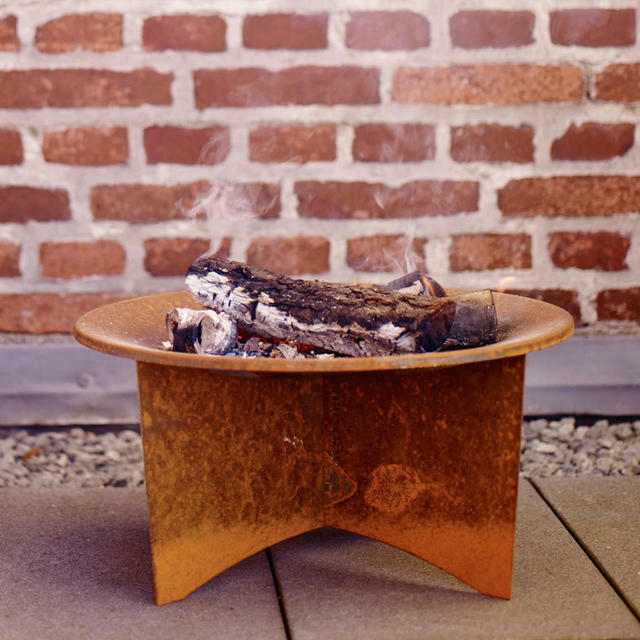 Click here to add our Kiln dried, Seasoned hardwood logs and Kindling, so that you can use your fire pit as soon as it arrives. 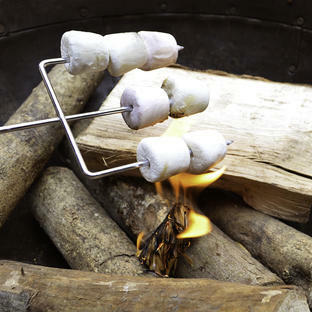 A useful accessory is the Embers Rake and the marshmallow fork. Made from Corten style steel. 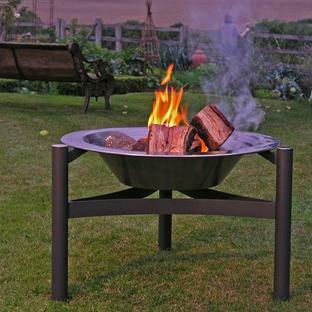 Because of the nature of the product, these firebowls will be in a natural steel finish when they are new (see the thumbnail picture). 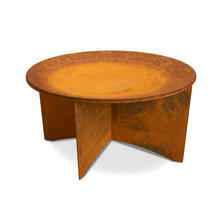 When they are placed outside, the weathering process of the steel will begin. 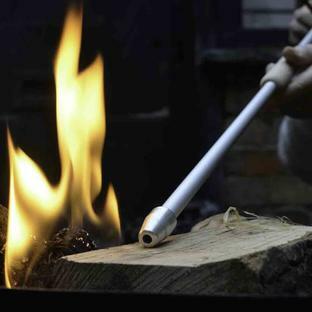 It takes takes around 3-4 weeks before the full finish and colour will be apparent. Because of the nature of the product we would advise not siting the firebowls on delicate or light paving until this process has taken place. The base of both the sizes of bowls consists of 2 pieces of steel which slot into each other. 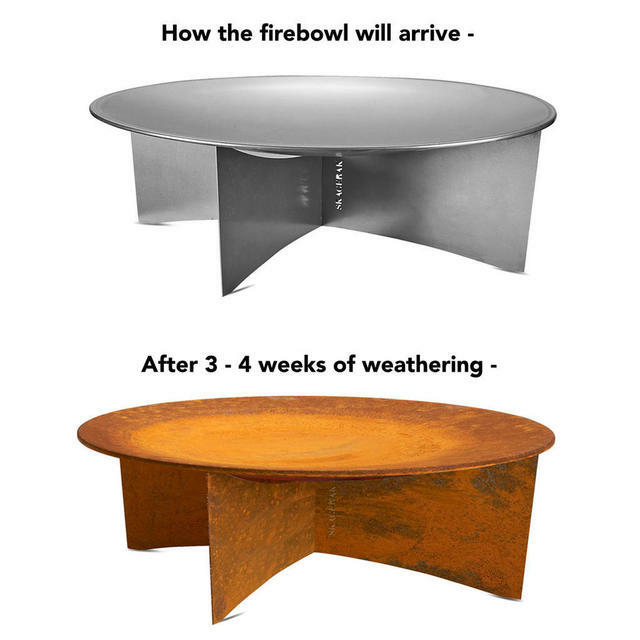 The bowl then just rests on the top.